Today I am writing you to give you an update from a space we have not occupied in over 7 days. Our main office on College Parkway in Fort Myers was spared but the power and internet was just restored. We know how very fortunate we are because so many of our neighbors in the region are suffering in the aftermath of the storm — limited food, water and ice and in some cases no where to live. We are so grateful to be up and operational as it allows us to turn our efforts to those in need. We are hearing from many of our seasonal residents checking in from their summer homes. It is important that we express not only our good fortune to have been spared the predicted storm surge, but we also need people to know that the area was seriously affected by the direct hit of this storm. There are large pockets of flooding in Bonita, Estero, Island Park, and devastation in Lehigh Acres, Buckingham, Alva, Marco Island and Immokalee. Hendry County volunteers are working to distribute supplies to some of the isolated inland neighborhoods. More than half of our residents are without power in these smoldering summer temperatures. Public school will not be back in session until September 25th. With schools closed, what will the kids do? Our team has been checking on the safety of our friends, donors and nonprofits as well as our regional colleagues in our 5-county region. We have also been working on the launch of the SWFL Hurricane Irma Relief Fund. Our focus now is to work with community partners to move money to nonprofits that are assisting individuals who have been impacted by the storm in Southwest Florida. We always know we need each other but storms and disasters reveal we need more of each other. Please keep reading to learn more about the fund and some of the locals who have stepped up with contributions. CLICK HERE to watch the joint press conference with the county and the United Way. You can be part of relief by helping us meet a $100,000 community challenge. On behalf of our Southwest Florida neighbors, we are collecting contributions, prayers, hugs and words of support. If you can spare any of those, please send them our way and we will make sure they go to those in need. 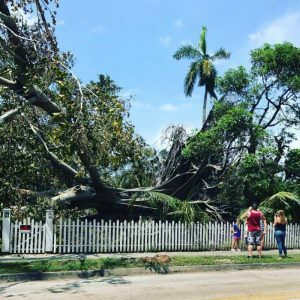 The Southwest Florida Community Foundation has joined forces with the United Way of Lee, Hendry, Glades and Okeechobee to create a giving fund to move money to nonprofits who can help individuals in the aftermath of those affected by Hurricane Irma. Officials announced today $500,000 raised to date including a community challenge. In addition, the foundation will distribute funds to Collier and Charlotte counties through the Community Foundation of Collier County, United Way of Collier County, Charlotte County Community Foundation, United Way of Charlotte County and other nonprofit organizations designated by donors. Early contributors to the fund to support the region include JPMorgan Chase, Boston Red Sox, Minnesota Twins, Richard M. Schulze Charitable Foundation, Ft. Myers Miracle, Robert Rauschenberg Foundation, Scott Fischer Enterprises Fund, more. Several philanthropists have stepped up to inspire community giving through $100,000 in challenge gifts. The Schulze Family Foundation will match up to $50,000, and Georganne and Cliff Williams, Norman Love Confections/Mary and Norman Love, Bill and Caroline Bloomhall, and FineMark National Bank & Trust/JoAnn and Joe Catti will also jointly match an additional $50,000 in gifts to the fund. People can donate online or by text. Contributions are tax deductible. One hundred percent of the funds donated through the Southwest Florida Community Foundation will be used to provide emergency funds to directly help people in Southwest Florida. CLICK HERE to transfer support from your Donor Advised Fund.